The new KWA AEG3 AKR-74M is the second model in the new 3rd gen AEG family. This updated ERG now shares the the newest features of the recently introduced AEG 2.5 system, PLUS simulated recoil with KWA’s patented Kinetic Feedback System. Highlighted by a Switch Life Extender to minimize the wear and tear on trigger contacts, the AEG 3 combines ultimate AEG rifle with a more cost-effective training solution to provide players and professionals the best airsoft experience. Additional features include magazine cutoff compatibility combined with a quick-change spring for users to customize their KWA AEG rifle to their own specifications. The updated KWA AKR-74M is an AK style, with felt recoil on every trigger plus a mechanical/electrical cut-off system that works in conjunction with the magazines to feed every BB and stop firing when the magazine is empty. This brings a new level of realism to any training and MilSim operation. The AKR-74M is designed to accurately simulate the AK platform. 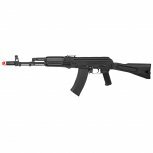 This updated classic takes the professional airsoft training AK model to a new level of performance with full metal alloy construction, a high impact polymer hand guard, pistol grip, full folding stock, and a new rotary hop up. An AK side mount on the receiver allows users to expand the platform with AK specific mounts and accessories. 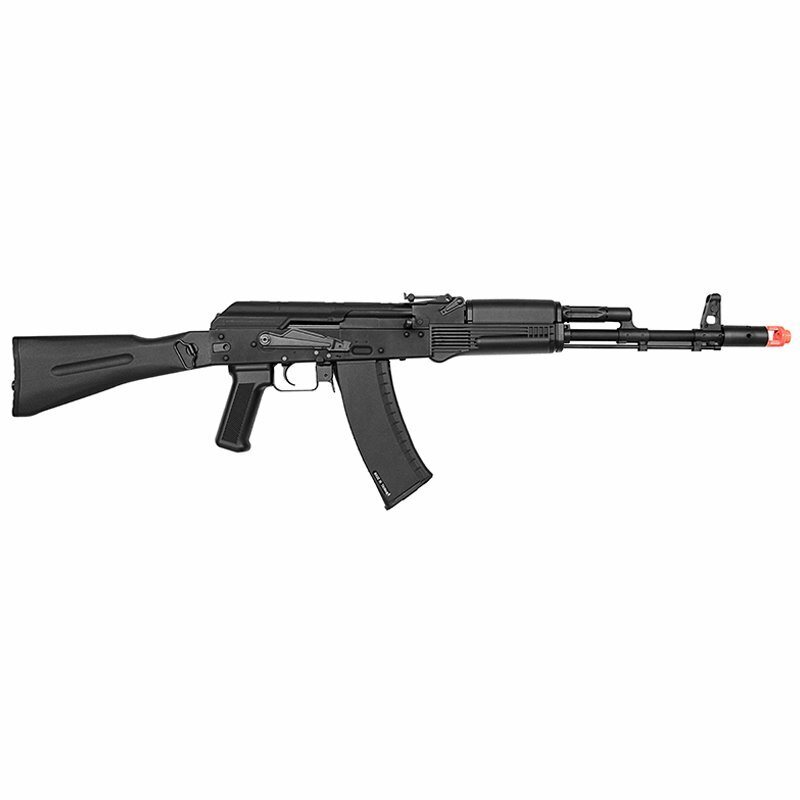 Enhanced by the Kinetic Feedback System, the new KWA AKR-74M is a strong reliable rifle for those interested in training with the AK platform. The AKR-74M is also equipped with a reinforced metal gearbox utilizing KWA’s unique 9mm ball bearing bushing combination and case hardened, upgraded precision metal gear sets. Heavy duty springs and an upgraded high-torque motors are matched for optimum results. The KWA AKR-74M was engineered to outperform, offering ultra high performance and training simulation straight out of the box. The AK-47 is an assault rifle developed in the early 1970s in the Soviet Union as the replacement for the earlier AKM. It uses a smaller 5.45x39mm intermediate cartridge, replacing the 7.62x39mm chambering of earlier Kalashnikov-pattern weapons.